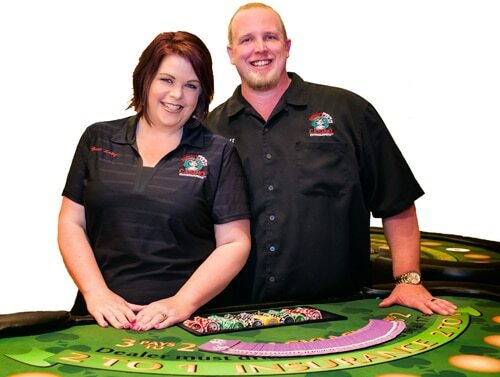 All our parties include 4 hours of “casino time,” which includes 3.5 hours of gaming time followed by 30 minutes of cashing in of chips and any giveaways. Although it’s not labor law, it is somewhat of an industry standard and courtesy to give each dealer a 15-20 minute break somewhere during the first 3.5 hours. 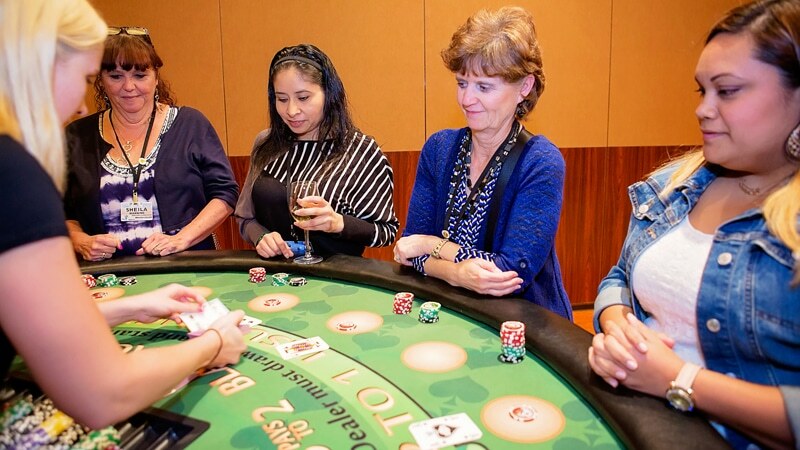 If your event has a natural break in the middle, such as for singing “Happy Birthday” or giving speeches, this is a great time to shut down the casino for a few minutes and break everyone at the same time. On the other hand, if your event doesn’t have any natural breaks, our crew would typically stagger their breaks such that only one table is shut down at a time while that dealer runs to the restroom or grabs a drink of water. If you’d like to have all your tables open 100% of the time though, you can always consider adding a “relief dealer” or two to your event. » When do we cash out?